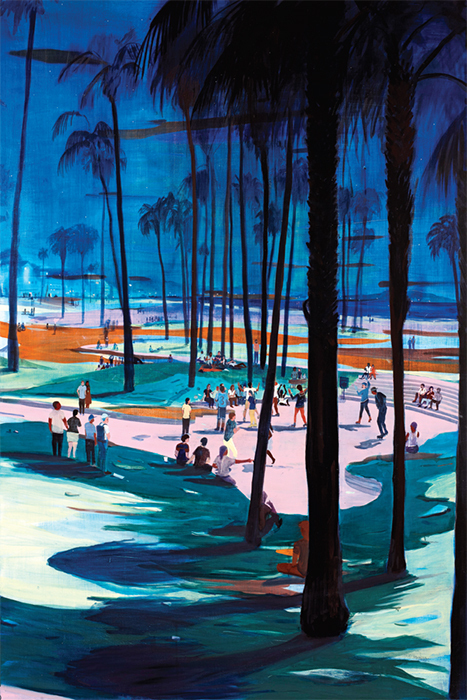 Jules de Balincourt, As Far West as We Could Go, 2014, oil on wooden panel, 72 × 48". Jules de Balincourt’s exhibition of twenty new paintings reprised his signature naive-style landscapes and portraits in oil on wood. 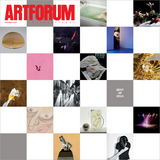 But new to the French-born, US-raised and -based artist’s characteristically dystopian and politically critical oeuvre was a sense of wishful optimism. Rendered in a cheery sun-drenched palette of coral pinks, seafoam greens, turquoise blues, and sandy yellows, de Balincourt’s latest suite of peopled urban and pastoral scenes blend memory and fantasy into pleasantly absurd alternative realities. 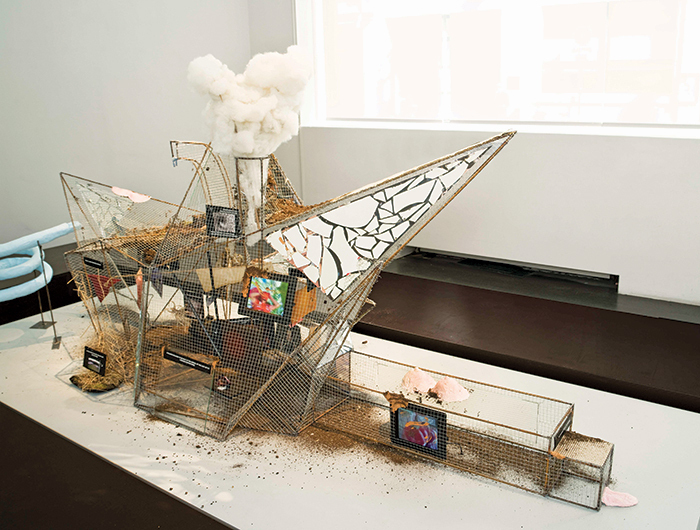 Laure Prouvost, Maquette for Grand Dad’s Visitor Center, 2014, mirrors, wood, metal, wire, soil, foam, plaster, glass, taxidermied fox, video screens, 57 1/8 × 114 1/8 × 43 1/4". 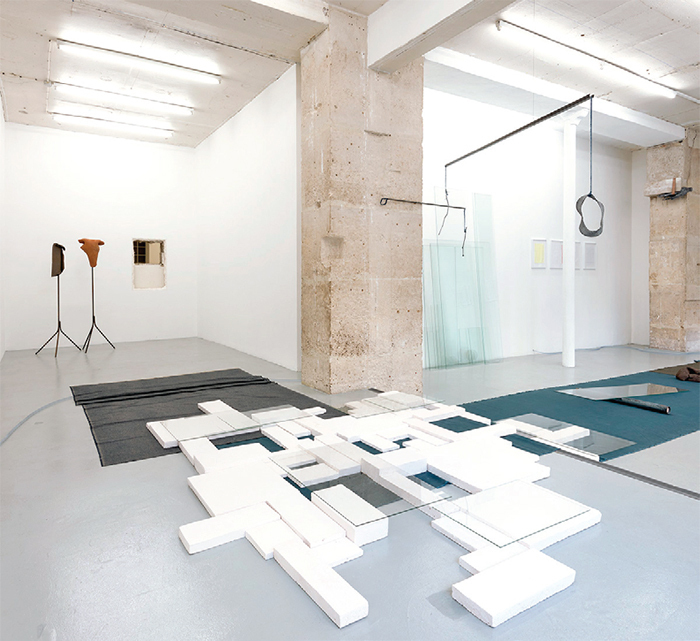 View of “Katinka Bock,” 2014.